The RM Studio professional services team is committed to simplifying your organization’s integrated risk management process. Through professional consulting engagements, training’s, or audits, RM Studio’s team of experts is here to help by ensuring maximum value from your investment in our solutions. The RM Studio Professional Service team is dedicated to simplifying your risk management projects and the successful implementation of our risk management solution. We focus our approach on the unique needs of each client, addressing your requirements and exceeding your expectations for quality service, with the goal of assisting you in embedding a culture of risk management in your organization. Client-Oriented Project implementation and Planning: In order to determine your needs and our role in your project, the first step in the process is to hold a needs and project planning meeting. From this meeting our team will develop a project plan that defines your objectives, milestones, scope and schedule. We will then advise on our approach and provide a proposal for our services. Upon determining the project scope and plan approval, your team will be assigned a dedicated consultant and account manager which will work closely with you to simplify your risk management project and meet the unique requirements of your project. In most cases, our work can be completed remotely saving you time and money in the overall process. 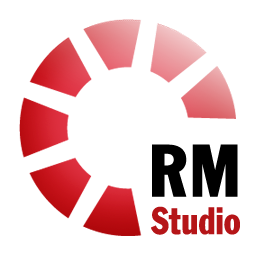 For more information regarding our RM Studio Professional Services contact Aron (aron@stiki.eu) or by phone at +354 570 0600. Vulnerability scanning is similar to penetration testing in the sense that we’re looking for weaknesses in the IT systems. The big difference is that the vulnerabilities will not be exploited. By using this method you can map weaknesses from which you can build an improvement plan. This usually involves disabling unused services or upgrading services and software which is being used in your IT environment.